I call myself an “Accidental Entrepreneur”. 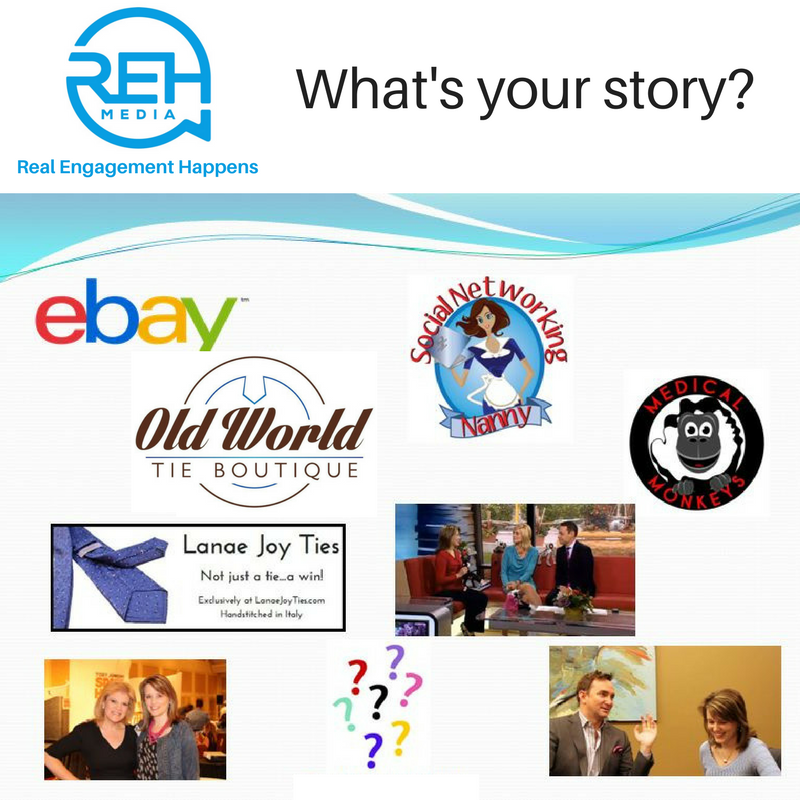 If you had asked me in 2000, when I began on eBay “Where do you see yourself in 15 years?” I would have never said “In 2015 I’ll have three successful online businesses.” What began on eBay with Simply Me Shop as a hobby, turned into a retail website Old World Tie Boutique, followed by a Social Media business Social Networking Nanny, which grew and in early 2018 became REH Media. We also created Medical Monkeys, supporting multiple charities (started in honor of my Mother who fought 12 brave years against cancers and side affects). But telling Your Story from a professional view point is just part of it. I also highly encourage businesses to tell at least some of the personal side. I’m pretty much an open book! I share because I want people to feel like they can also open up and share back, not just to me, but to others. By sharing you are communicating and connecting, on levels you may not have even thought of. When people feel a connection they feel more comfortable working with you, doing business with you, conversing with you. The graphic below is merely a snapshot of my personal story. Each facet is an integral part of making up who I am today, both personally and professionally. What is the Interest in Pinterest?